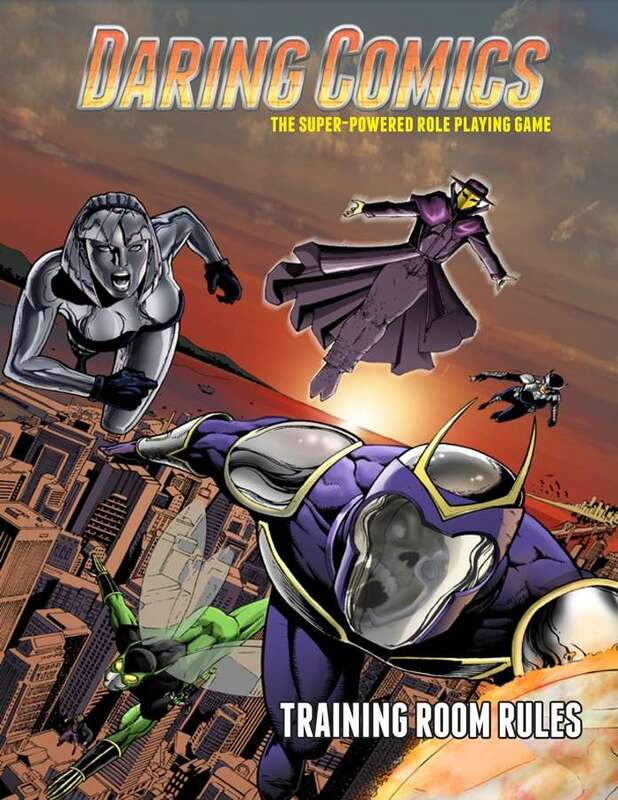 The Daring Comics Training Room Rules is a free PDF download that allows you to see what the Daring Comics Role-Playing Game has to offer. Ten (10) Player-Character archetypes, ready to play. The basic Daring Comics RPG rules needed to play the adventure and give the game a test drive. Curious about the game but haven’t purchased it yet? Let the Training Room Rules give you an idea of how it plays and some of the basics it offers. Have the game and want some player-character archetype ideas for your group? Download the PDF for free and claim the 10 that are provided here. Remember, this is not the full ruleset, and does not included a full listing of powers or stunts, invention rules, super-team rules, and lots of other features provided by the complete rulebook.